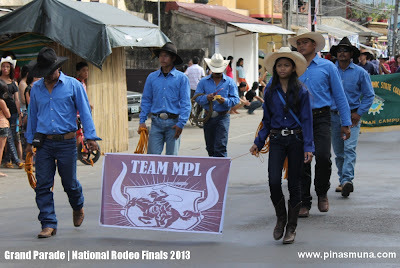 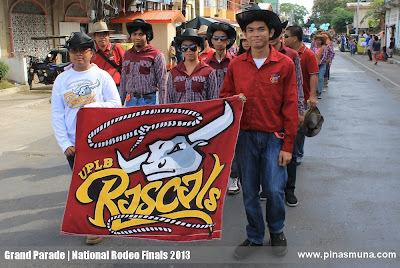 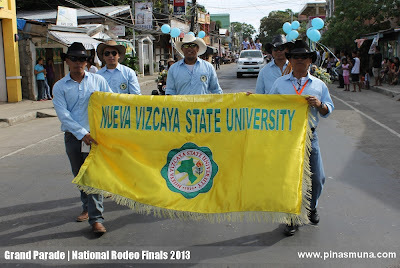 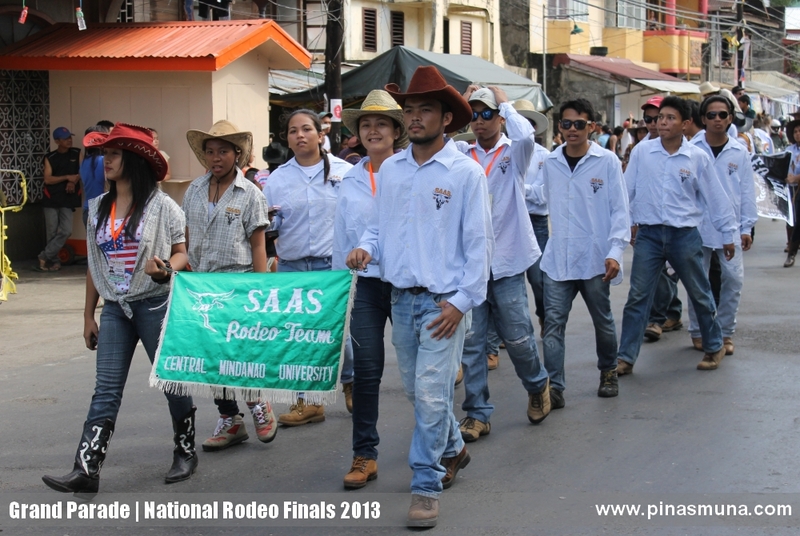 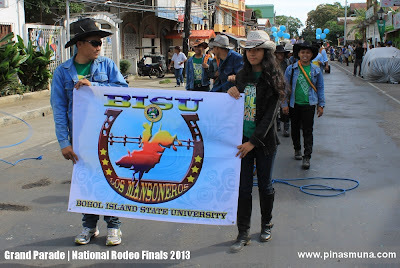 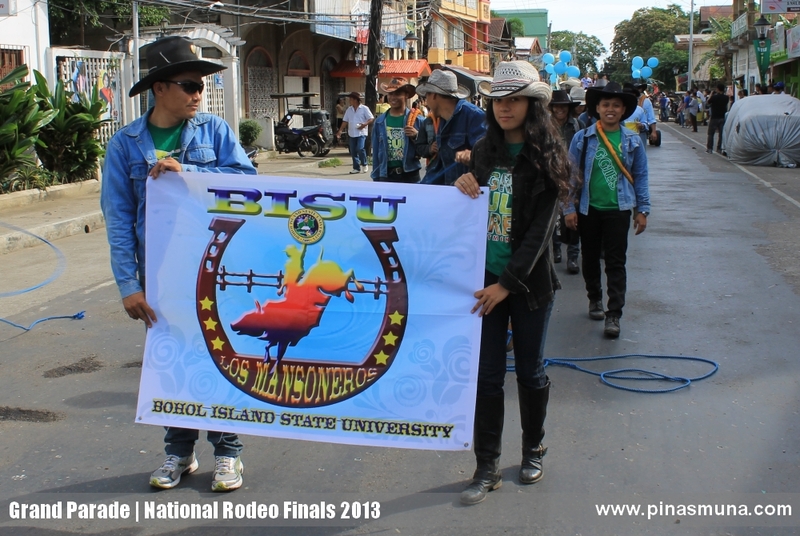 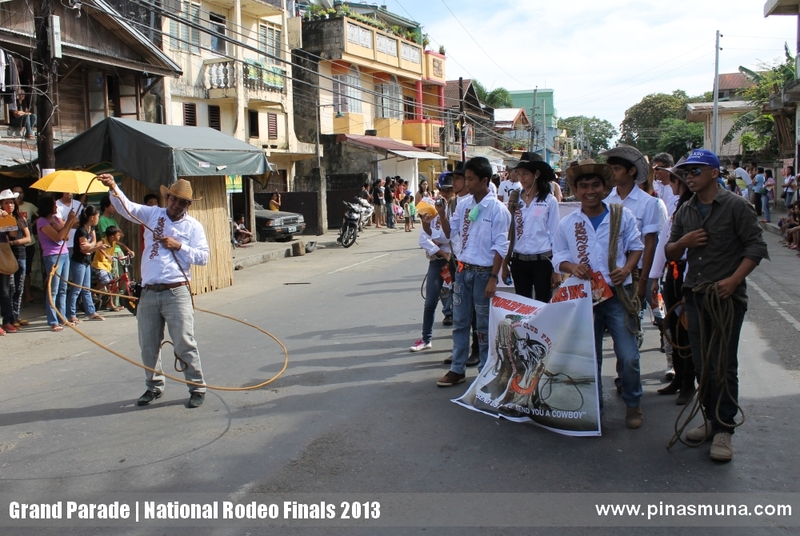 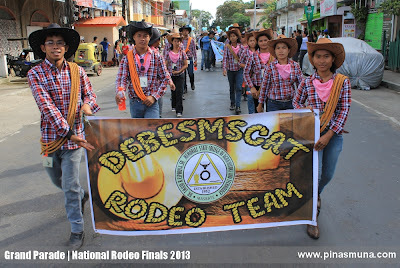 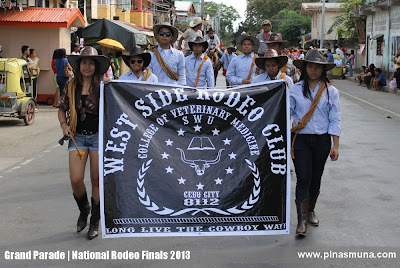 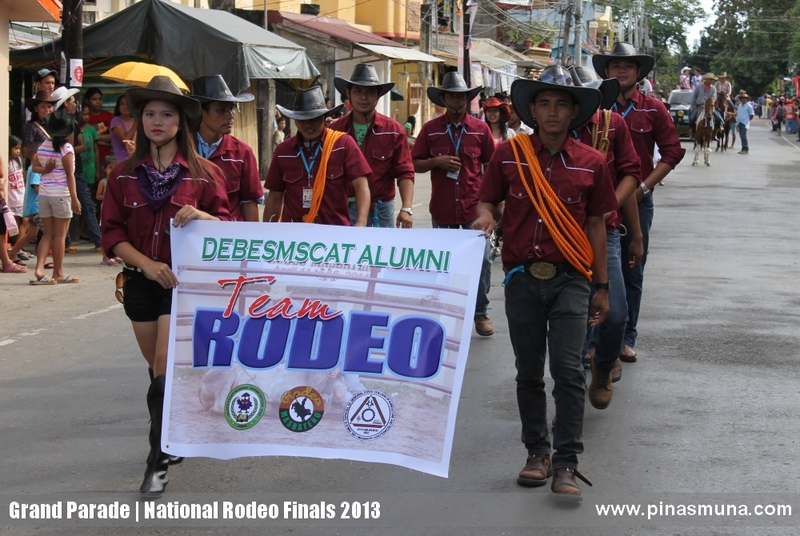 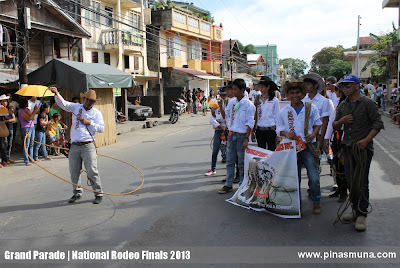 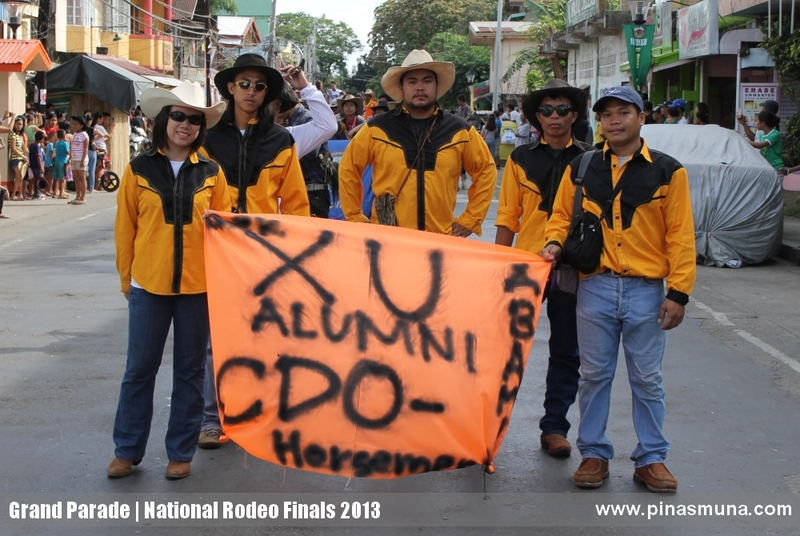 The National Rodeo Finals 2013 was formally opened today with a Grand Parade in Masbate City. 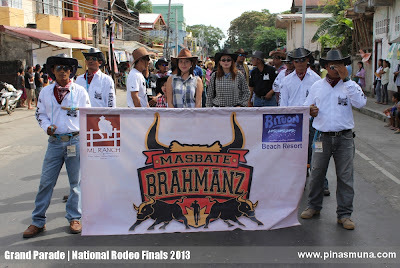 Bands and Rodeo exhibitions entertained the spectators, while the employees of the provincial government of Masbate walked the streets in their colorful Rodeo costumes. 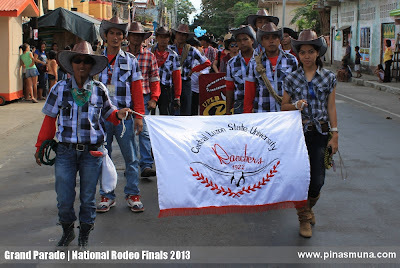 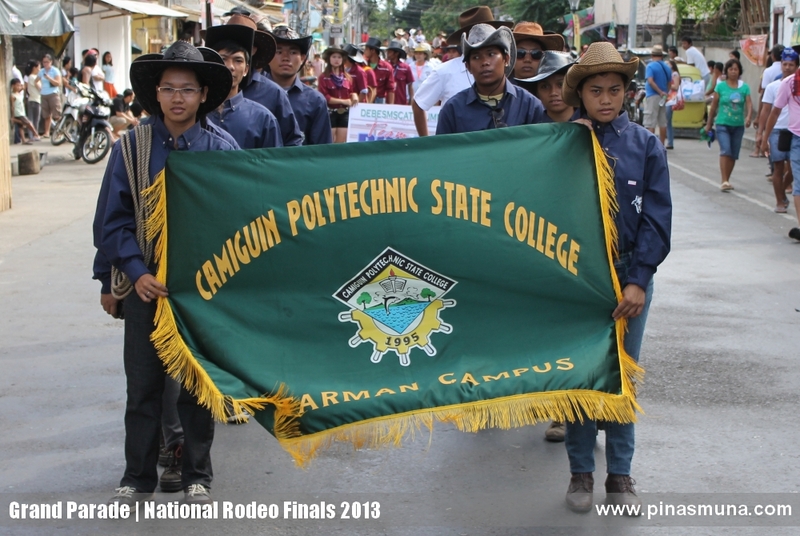 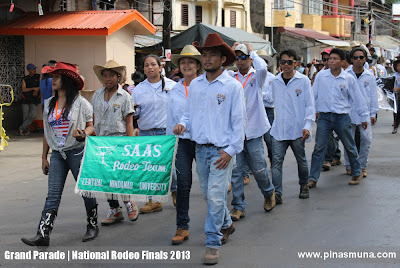 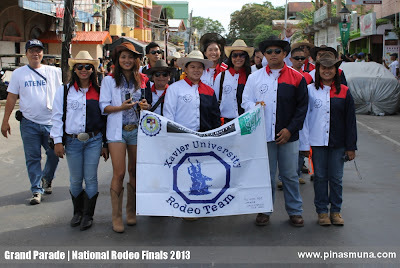 Competing teams from various Philippine universities, as well as professional Rodeo Clubs, were among the participants in the parade. 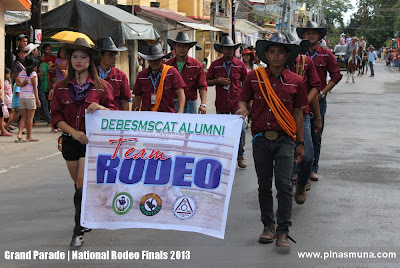 The parade will end at the Rodeo Masbateno Grand Arena where the opening ceremonies will be officiated by the Rodeo Masbateno Inc and the Masbate Provincial government.